You want to make a difference in your community? You think you are a good person who helps make the world a better place? Put down that solar panel, drop those recyclables, take a break from buying local, and come join us petitioning our community for support for bike lanes! We will be walking North Figueroa Street from Avenue 26 to Avenue 52 on Saturday, May 3, 2014 to gain support from businesses and residents along the North Figueroa Street corridor. Meet at 10 a.m. on Saturday, May 3, 2014 at the Flying Pigeon bike shop (3404 N. Figueroa St. Los Angeles, CA 90065). We’ll form up into teams and march towards livable streets nirvana – one petition signature and letter of support at a time. Why are we doing this? 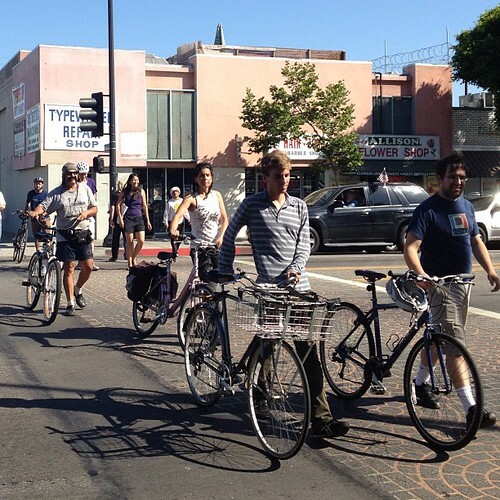 Councilman Gil Cedillo has stalled the North Figueroa Street bike lanes for over a year since getting elected and wants to see what the neighborhood thinks about the LADOT’s plans to remove a car lane and install buffered bike lanes on North Figueroa. 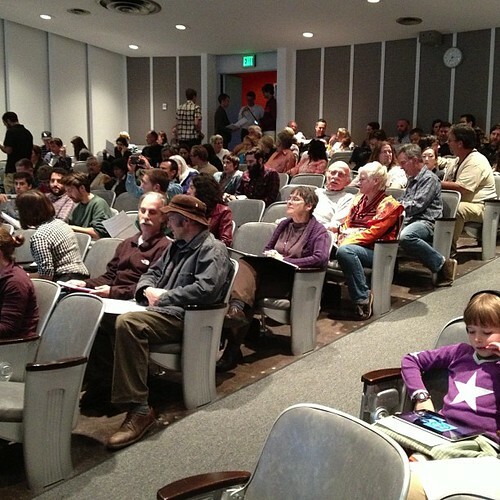 He’s holding the first of two community hearings on the matter on May 8, 2013 at 6 p.m. at Nightingale Middle School – we want to deliver our petitions at this meeting and bring out community members in support of a road diet, bike lanes, and safer walking facilities.